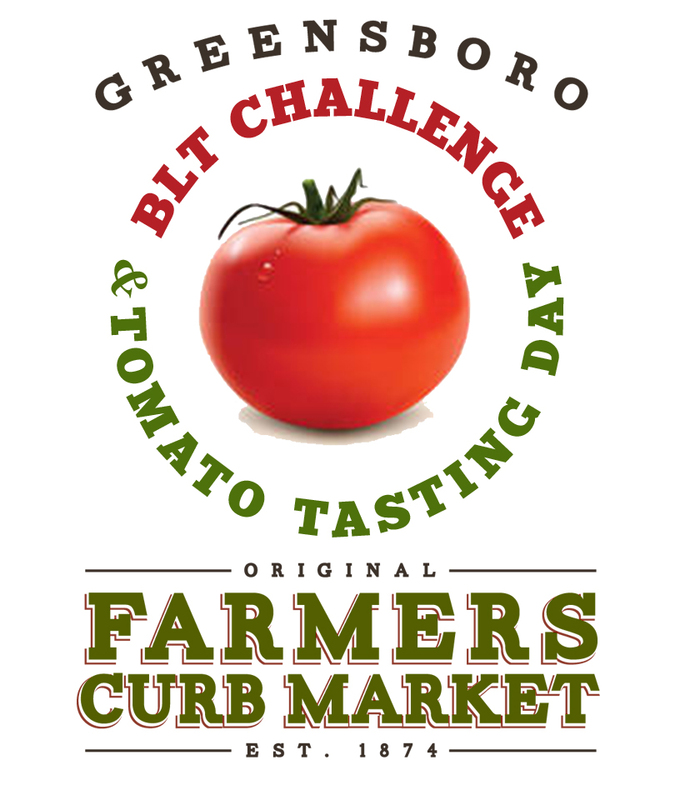 "Greensboro, NC - The Greensboro Farmers Curb Market (501 Yanceyville Street) will host a Bacon Lettuce & Tomato Challenge & Tomato Tasting Bar on Saturday August 6th from 8 am - 11:30 am on the lawn at the corner of Lindsay & Yanceyville St.
Local restaurants will create their best bacon, lettuce, and tomato sandwich using their favorite recipe. Customers will sample all sandwiches and vote for their favorite BLT creation. This year’s competitors are Tessa Farm toFork, The Green Bean, and Blue Spoon Cooking School representing the Greensboro Farmers Market team. Additional teams may be added. The winner will be announced at the end of market. Patrons can also sample a variety of tomatoes that will be in season and grown by market farmers: Pink Girls, Sun Gold, Cherokee Purple, Husky Cherry, Juliet, German Johnson, Big Beef, and Plum tomatoes are just a few of the popular varieties to taste. Enjoy live music by local artist Louis Allen beginning at 8 am followed by Laura Jane Vincent at 10 am. There will be kid friendly activities out on the lawn and picnic table seating is provided. Patrons are encouraged to bring seating or picnic blanket to the event. Greensboro Farmers Curb Market operates year round on Saturdays 7 am to 12 noon and seasonally through December on Wednesdays 8 am to 1:00 pm. 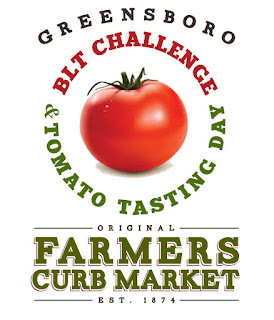 Greensboro Farmers Market, Inc. (GFM) operates the Greensboro Farmers Curb Market on behalf of the City of Greensboro. GFM is a 501c3 nonprofit. GFM provides greater Greensboro with opportunities to purchase and learn about local food and setting. GFM encourages and supports the growth of local foods and artisan goods businesses to improve greater Greensboro’s economy, support better health through healthy eating and build social and community connections."